Australia has won 18 of the 29 Triangular series they have hosted since 1979-80. Among Asian teams India and Pakistan have won it once each. Sri Lanka has reached the finals twice failing to beat Australia on both occasions and in their 9th appearance in the tournament they look good to make the third entry to finals lucky. Sri Lanka has made 9 appearances to the triangular series and reached the final thrice, including 2012 series. On 6 occasions they have finished third. Unlike India or Pakistan they have never won it. Yet, their current performance makes them the favorite. For the first time a Sri Lankan batsman has breached 500-run aggregate in the series. 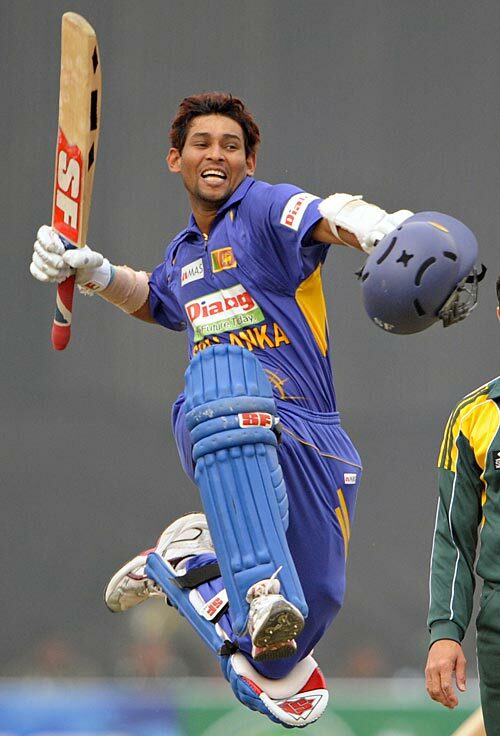 Dilshan is the only Asian player to have scored 500-plus runs in the series history. It is only the 8th instance of a batsmen crossing 500-run mark in the series. Chandimal, Sangakkara and Mahela are also well placed to touch the 500-run mark in ther last innings of the series. The batting unit has never been in such great form for Sri Lanka in Australian triangular series. Malinga is just 3 wickets short of becoming the first Sri Lankan bowler to touch 20-wicket mark in the series. Only Kapil Dev from Asia figures in the list of bowlers who have touched the 20-wicket mark in series. 11 bowlers have provided 12 instances of such feat. Dennis Lillee is the only bowler to have achieved the feat twice. Mahela is leading from the front with his willow. But more than bat he has contributed as a captain. His tactics have helped SL win 5 of their 11 matches in the series. His body language is confident despite being the captain of ex-captains Sangakkara and Dilshan. He has ensured everyone plays for the team. The bond has helped team and individuals excel. Sri Lanka, emerging from internal turmoil and poor performances, have the best chance to leave their stamp on one of the rare tournaments where they have failed to win yet. Can Australia End the Triangular Title Drought!